Summer is here! Most parents want their children to have an interesting and useful summer. What are you waiting for? 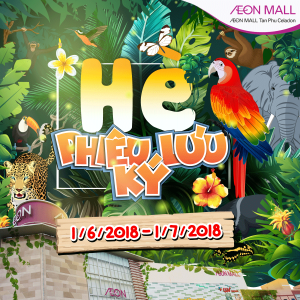 Let’s come to AEON MALL Binh Duong Canary, we have a marvelous journey prepared just for you to discover the mystery and majestic. Summer is here! 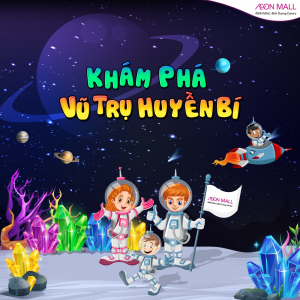 Are you ready to experience a unique adventure at AEON MALL Binh Tan? Imagine that one day, you are lost in an amazing forest with many kinds of wild animals. What will you do? 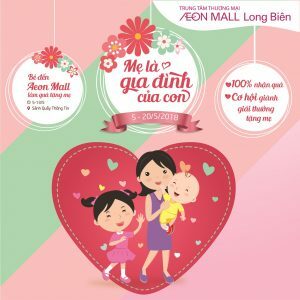 This May, AEON MALL Long Bien proudly brings you the meaningful and exciting activities to celebrate May – the month for our dearest Mothers! 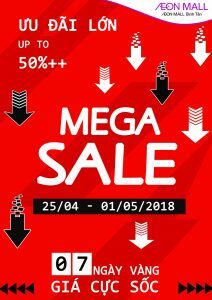 After the success of the event from the last year, Mega Sale at AEON MALL Binh Tan is coming back with many interesting sale promotions. In a person’s memory, the spring is like a rainfall and their sweet childhood seems to be a picture painted by entire range of the purest and brightest colors. 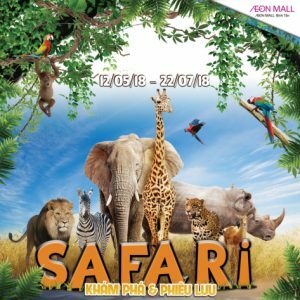 Let’s come to AEON MALL Tan Phu Celadon with your family from April 20 to May 13, 2018, taking some photos with familiar objects and tell your children stories about the “tough childhood” of you! Late March and early April is the best time to enjoy the blooming cherry blossoms. Especially, for the Japanese, this is a special occasion for everyone, and it’s called “hanami” in Japanese. 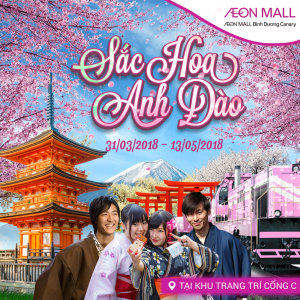 This spring, AEON MALL Binh Duong Canary brings many attractive activities for customers to experience “hanami” – a famous traditional custom in Japan. 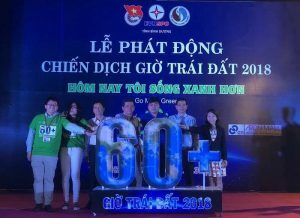 In the evening of March 24th, AEON MALL Binh Duong Canary and majority of the public in Binh Duong Province turned off lights and unnecessary electrical devices as a response to Earth Hour 2018 nationwide. 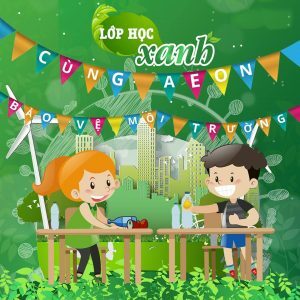 The Earth Hour campaign was held over the years has inspired and encouraged millions of people to support and participate. 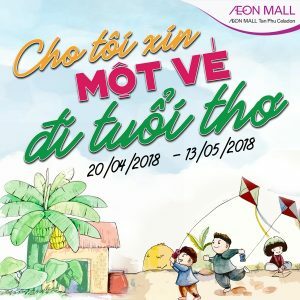 This year, in response to the Earth Hour campaign, AEON MALL Vietnam will bring a series of Eco Day events in three days from 23 – 25/3/2018 with many interesting activities for the whole family. With the original meanings of the feminist protest, the International Women’s Day 8th March has now become the day to honor and show love for the “half of the world”. 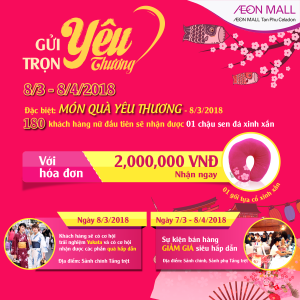 Come to AEON MALL Tan Phu Celadong these days, you will have the opportunity to experience a lot of meaningful and interesting activities.